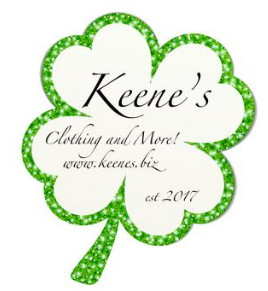 Keene's offers cute, fun and trendy clothing to their customers. Visit often as our business grows. Become an affiliate and enjoy a 25% discount. Become a Fashion Star and enjoy a 30% discount and 40-50% off retail on re-orders of inventory.